The big news is about our new theatre, details below, and the resultant array of new tasks and projects for CWC volunteers. Also sharing some cool events around town, at the bottom. Please pass this along to those who appreciate good cinema and who might enjoy volunteering. Cincinnati World Cinema is renovating the former Mid-States Cinema at 719 Race Street, downtown Cincinnati. Since opening in 1970, the venue was known as The Place Cinema, The Moviola, The Movies Repertory Cinema and The Real Movies. Most recently, it was home to the Cincinnati Shakespeare Company for almost two decades, prior to their move to OTR last year. 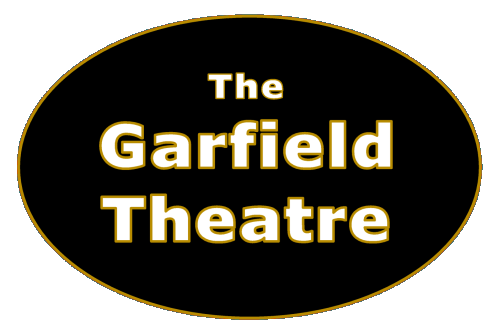 It will be called The Garfield Theatre, reflecting its location near the corner of Race St. and Garfield Place. This was the last of downtown's 27 movie houses to close and we are delighted that it will be the first to reopen. We love Memorial Hall in OTR and could continue our large-scale events there, but with 162 seats the Garfield is a perfect complement to their 550-seat theatre. Scheduled to open in August, a complete renovation is underway including installation of a large screen, digital projector, sound system, wireless microphones and theatrical lighting. New paint throughout plus new lobby flooring will add to the ambiance and a special ADA passageway will permit easy access to seating. Operating the Garfield will allow additional screenings of films typically shown only once or twice in larger rental venues. We will continue to showcase outstanding first-run motion pictures not shown elsewhere in Cincinnati and the expansion of our programming effort will allow additional film-and-discussion events featuring classics, retrospectives and works by new Indie filmmakers. Along with CWC films, the Garfield will serve as a cinema center for regional filmmakers and other film presentation groups, offering access for those typically unable to afford busy, high-rent venues. We anticipate a variety of ancillary uses in the coming years – corporate meetings, special events for community groups and an occasional live performance. All-in-all very exciting !! 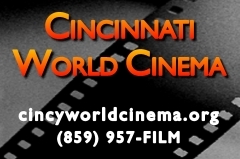 For more information call 859-957-3456 or visit CincyWorldCinema.org. A one-of-a-kind fun event featuring Laurel & Hardy films, memorabilia, trivia contest, lectures, bar and meals, excursions and more. Three days of independent films at the Woodward Theater. If this film announcement was shared by a friend, you can receive your own copy here.